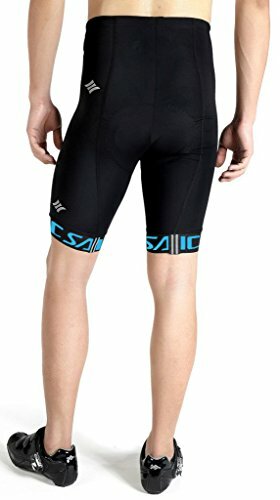 If you love speed, going fast and pushing yourself to the limit, then SANTIC’s Men’s Bodyfit Waist Shorts are for you. 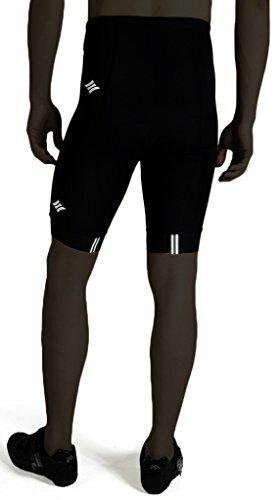 Developed for racers by racers it’s a short with no compromises, letting you achieve your best while in total comfort. 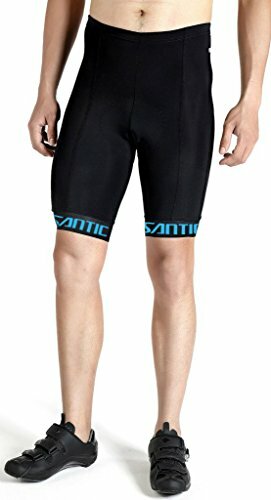 For more than a decade, holding consumer-oriented principle, SANTIC provides suitable, and professional technological sports equipment for sports enthusiasts creates free and comfortable sporting experience and enhances the fun of sports with its passion, design and continuous innovation.ANTI-SWEAT – Using double antibacterial efficiently reducing the sweat produced sour riding, eliminate infections caused by bacteria, make sure your health! 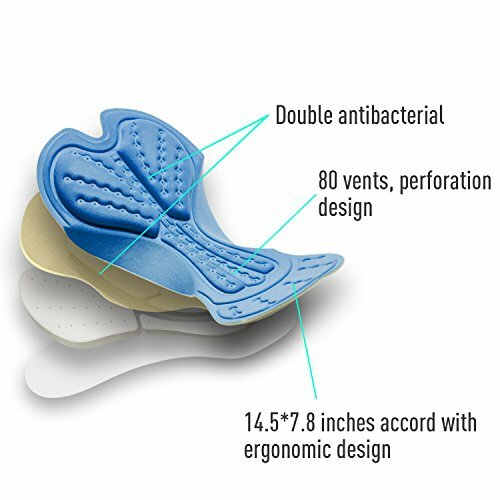 AIRFLOW AND COMFORT – A tried and tested race-specific 3D Chamois is male-specific and non-chafing with padding in crucial areas.Using COOLMAX cushion with more than 50 vents, more comfort, and more airflow.Also, new fine-line stitching to further reduce any irritation. REFLECTIVE – reflective logo on the left side and detailing on powerband could attract more eyes. 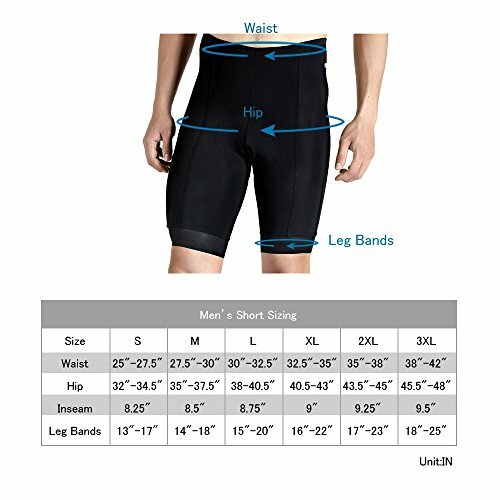 ANTI-SLIP SYSTEM – engineering breakthrough in comfort and performance; To complete the fit leg bands feature a thin, almost mesh-like gripping surface to keep everything in place and eliminate any uncomfortable bunching or pinching.